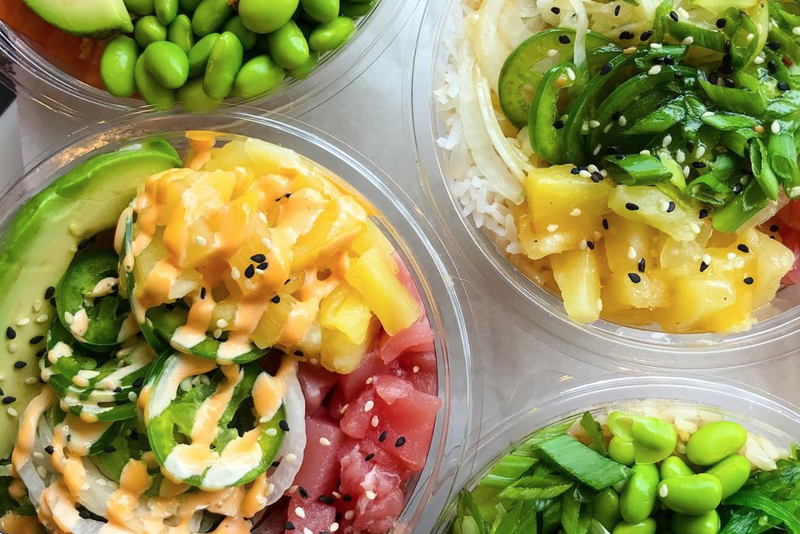 Places selling fast-casual versions of Hawaiian Poke keep popping up in Milwaukee. There’s Fusion Poke, Fresh Fin and Aloha Poke. The last one, a non-Hawaiian owned Chicago chain that expanded to the Third Ward in June, has sparked some culinary controversy. After trademarking the name “Aloha Poke,” the company has been sending cease-and-desist letters to other small businesses using the words “Aloha” and “Poke” together—including many shops owned by native Hawaiians. Aloha Poke says it’s just protecting its “rights” to the words, but maybe it shouldn’t have been able to trademark them. Both words have a deep cultural significance to Hawaiians. “Aloha” means much more than hello and goodbye. It’s a word that symbolizes a spiritual interconnectedness and can be a word for love, peace, compassion and mercy. And Poke, originating with Hawaiian fishermen seasoning the cut-offs from their catch to serve as a snack, has evolved on the islands to be as diverse as the many indigenous ingredients available. It’s a purist tradition of people getting creative with what they have and sharing it, giving it social significance as well. If you do so honestly and respectfully, there is a way to explore other cultures through cooking (in your kitchen or for a restaurant) with appreciation and celebration, no matter where you or your ancestors are from. Then there’s cultural appropriation—an effort that doesn’t celebrate another tradition but tries to own it, hurting the people who created it in the first place. It’s an interesting conversation that we want to have, because the variety of ethnic foods (even fusions) are what make this country great. It’s what we love about being foodies. But it’s good to remember to treat cultures with responsibility, not as profitable trends. Bay View is getting some much-needed comfort food. Belli’s Bistro & Spirits is new to KK, bringing some Southern flavor. The menu has specialties like flaming lobster tail, wings and waffles, Soulfood Sunday, a Tuesday Crab Boil and plenty of cocktails to match. It’s the last weekend for the Wisconsin State Fair. Even if you can’t make it, you can still try some fattening State Fair-inspired delicacies this weekend at the Miller Time Pub & Grill. On Saturday, August 18 Velobahn Coffee and Cycle is hosting the second Pupusa Fest to celebrate the most important holiday in El Salvador, “El día del Salvador del Mundo” with pupusas, Salvadoran coffee and dancing to Salvadoran music. Lost Whale is now doing Iron Grate-style yakitori at Lost Whale! We can’t wait to check it out on Saturdays from 6 p.m. to midnight and Sundays from 3 to 8 p.m, which we think is prime-time for these skewers. P.S., if you are a chef or a restaurant and have a food-related announcement or event, please send us any information or press release to thisbites@radiomilwaukee.org. Aloha Poke quietly moved into the Third Ward this June, but the conversation around this Chicago chain has gotten much louder after activists have been calling out the non-Hawaiian company for saying native Hawaiians can’t use the trademarked words “Aloha” and “Poke.” On This Bites, we talk about the controversy. 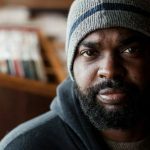 Each week on Radio Milwaukee, Milwaukee Magazine’s dining critic, Ann Christenson, and 88Nine’s foodie, Tarik Moody, discuss Milwaukee’s culinary and restaurant culture on This Bites. This Bites is supported by Society Insurance. Listen to the podcast and read more below for our conversation on Aloha Poke and other Milwaukee food news and events.